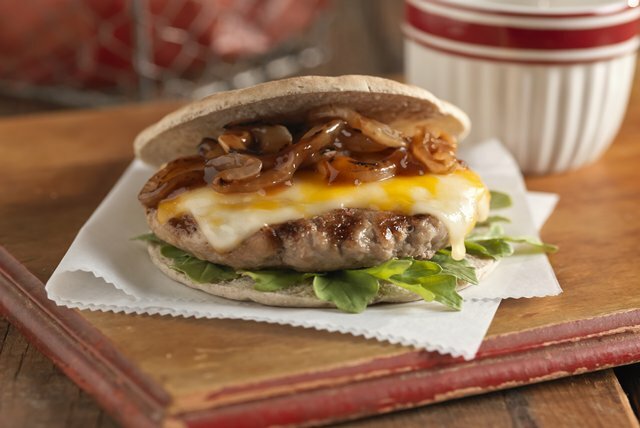 Sweet Vidalia onions and Colby Jack cheese make these BBQ sauce-spiked ground turkey burgers a favorite of cowboys and cowgirls alike. Shape turkey into 5 patties. Grill patties and onions 8 to 10 min. or until burgers are done (165ºF) and onions are tender, turning after 5 min. Top burgers with cheese. Remove burgers and onions from grill. Place onions in bowl. Add barbecue sauce; toss to coat. Fill buns with arugula, cheeseburgers and onions.